Your Child’s Passport to Adventure is Here! But here’s what we also love about this activity for kids: It’s a great way to get them talking. As they’re creating their passports, ask them to share their favorite memories of the places they’ve visited: What made them so great? What do they wish they could do again? Then ask them to dream up all the places near and far they’d like to go. That new ice cream place two towns over? The pyramids in Egypt? Walt Disney World? The Great Wall of China? There are no limits for this list! Learn more about the destinations online, and checkout photos and videos online. You can even make this a bigger project for kids by showing them how to create an adventure inspiration board. 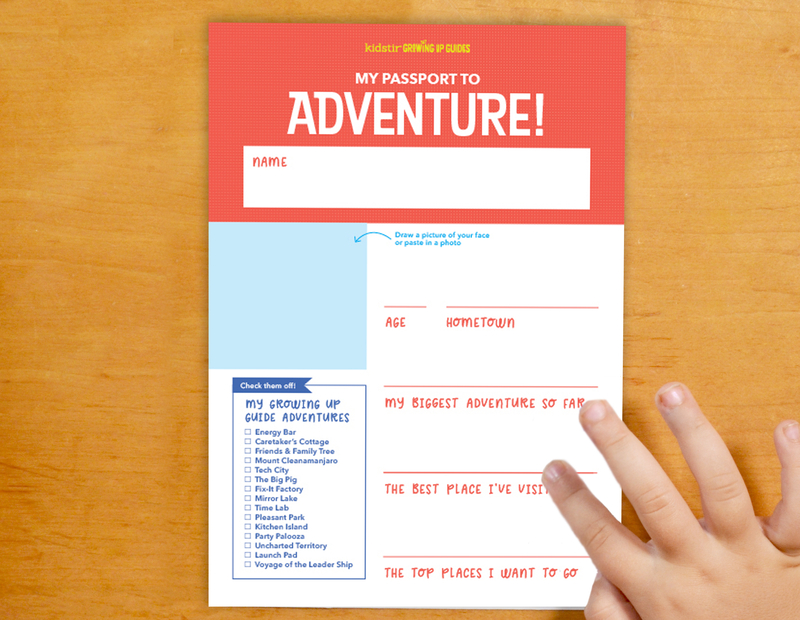 Paste their Adventure Passport in the middle of a large piece of card stock or poster board. Then print out photos and have kids trim them to size. Attach them all around the board and decorate with markers! Ultimately, the goal is to help kids tap into their own sense of curiosity, which will help them find adventure wherever they go. And that’s something we all could use a little more of no matter our age. Have fun and adventure on!